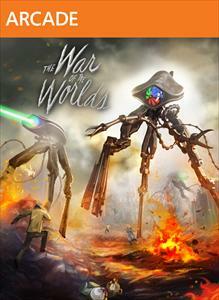 War of the Worlds was developed by Other Ocean Interactive and published by Paramount Digital Entertainment. It was released October 12, 2011 for 800 MSP. A copy was provided for review purposes. You don’t see many book adaptations on Xbox Live Arcade if any at all. But Other Ocean Interactive decided to make a platformer based off one of the most famous novels and radio broadcasts ever with The War of the Worlds. Based off of the H.G. Wells book, you play as Arthur who’s coming home in early 50’s London when the alien apocalypse happens. As you rush through the chaotic streets of pedestrians running for their lives, you must race to find your wife and brother to make sure they’re safe. 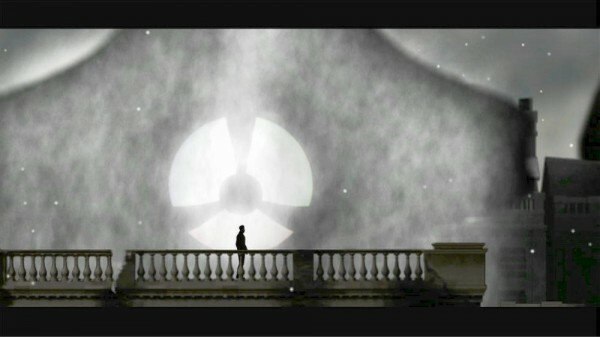 The game is a rotoscope animated platformer similar to games like Out of This World or the original Prince of Persia. 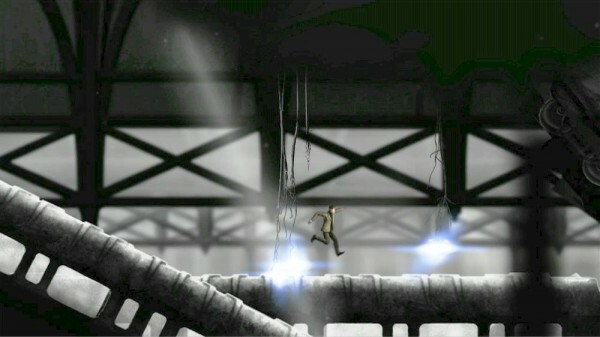 You must carefully run and jump off platformers at the right time in order to achieve the jump. Coincidentally enough, making precise jumps and movements is actually harder than the aliens themselves and sets us up for what we’ll have to deal with for the entire game. Tone and atmosphere – The beginning of the game has a real old feel to it with the original 50s Paramount logo to what songs are playing on the radio in some spots. 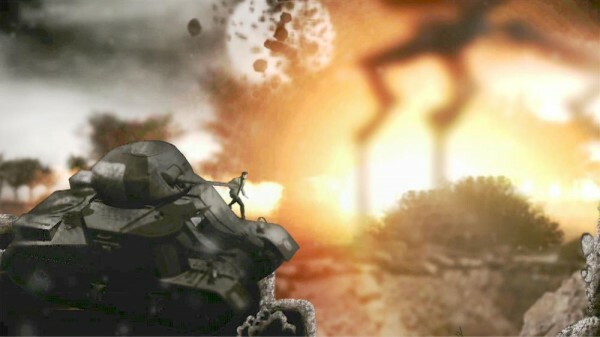 The graphics have a muted look to them with a lot of greys to represent the bleak nature of the alien invasion. It helps set the tone by showing us what a world we live in and being unsure what’s to come next at any corner if it’ll be a death ray or an alien crawler. Patrick Stewart – Sir Patrick Stewart is a fine narrator and has been a great voice-over for games such as Elder Scrolls IV: Oblivion and Castlevania: Lords of Shadow. 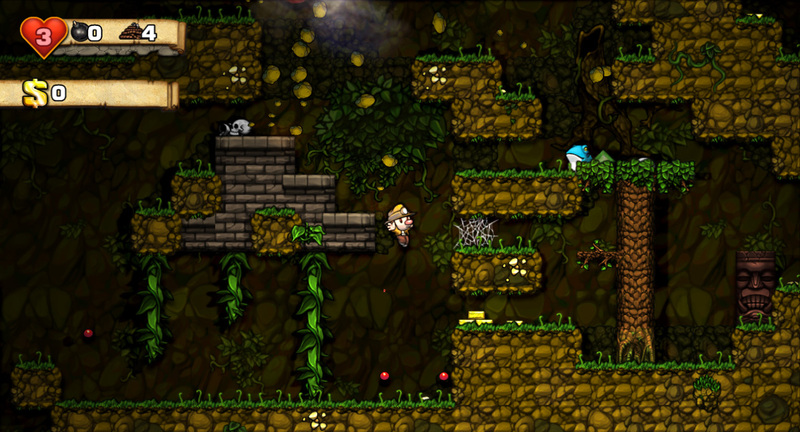 He does another great job here with heavy descriptions and offering you a moral compass as you get past more levels. It almost feels like he’s the character you’re playing as at times, narrating his story after the events as you’re playing through them. 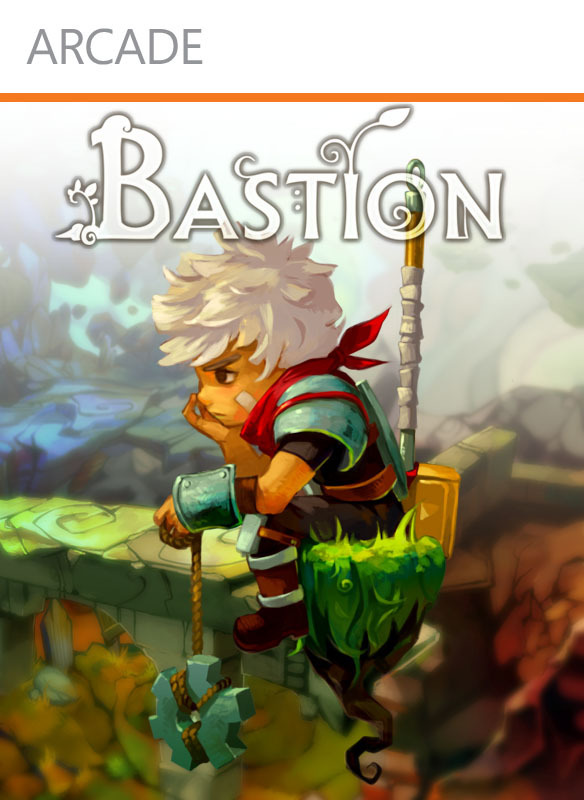 Imprecise gameplay – When you play a good platformer, usually what makes it is the fine physics and ability to keep on jumping which isn’t the case here. Since it’s rotoscoped, it takes a lot longer to jump and you’ll have to climb up things in order to get to the next platform. Only trouble is the controls are super imprecise at times where you’ll run for a running jump and jump at the last second only to realize you have to wait a second longer. You shouldn’t be penalized for a jump that you miss by a hair if the controls don’t work since you feel that it’s not your fault. It could be because of the rotoscope animation but it doesn’t make it any more fun. Lack of clarity – There’s a part in the third level that doesn’t really help you at all in what to do next. If you keep going further you die and you can’t outrun a death ray but the game doesn’t tell you to hide under a barrier nor does the Patrick Stewart narration even help. It’s like they’re forcing trial & error down your throats by having a lack of being told what you can and can’t do. Whereas in Limbo, the trial & error is helpful but you eventually can figure it the puzzles easily but in this game, you’re forced to die over and over again to figure out what to do. Aliens are the least of your worries – The aliens can kill you in one hit but do you know what else can kill you in one hit? Practically anything. Even if the jump looks like you can make it, you’ll probably die and have to climb down manually. You have to methodically think of how to get down and up places while also avoiding enemies that are really fast that can kill you. It feels contradictory to deal with fast moving enemies in a slow paced game. Overall, The War of the Worlds tries to do a lot thematically but it almost feels like they forgot the fun factor of the game. While the overtone and themes paint a grim picture, it gets grimmer when you start playing the game and having the control issues. For an 800 MSP game, it’s not a lot of money but it’s better spent or saved for other games like Limbo where the controls and gameplay are there. It’s always a bummer when a game you look forward to lets you down but it could be worse. 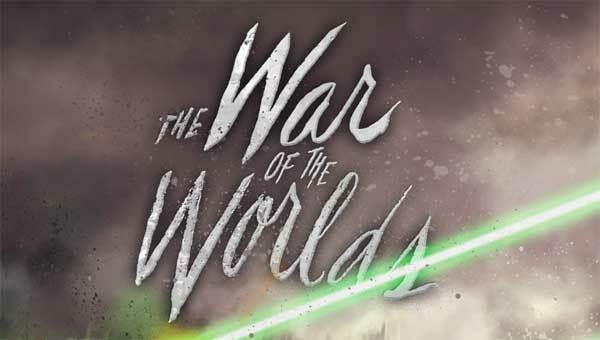 It ends up feeling like the Tom Cruise movie rather than the original source material.